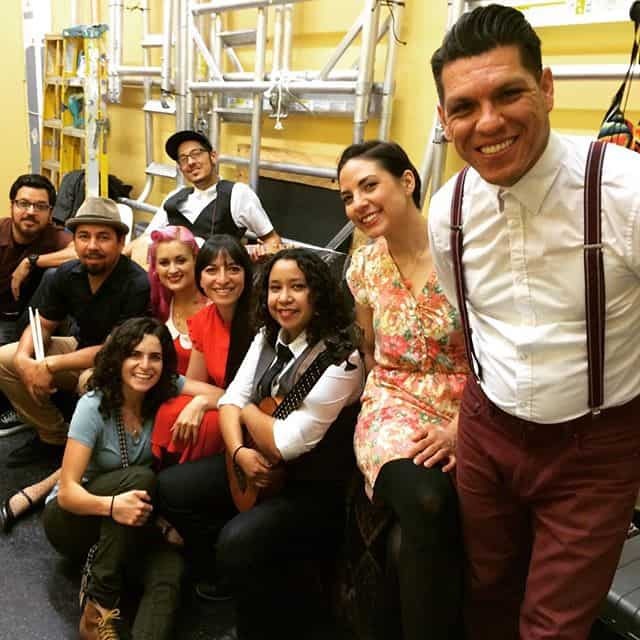 Las Cafeteras seamlessly fuse traditional Afro-Mexican music from Veracruz, Mexico with modern rhythms and lyrically rich storytelling to create a fresh Urban Folk sound from the streets of East Los Angeles. 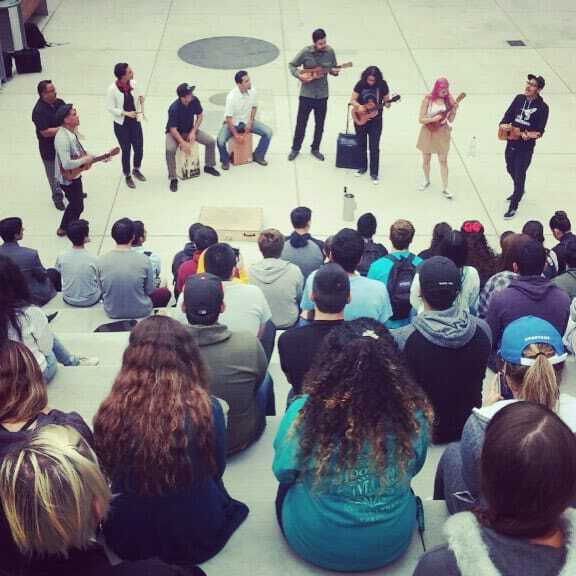 Their eclectic instrumentation includes jaranas, a requinto, a donkey jawbone, a West Africa descended bass instrument called the Marimbol, cajon, and a wooden platform called the Tarima used to dance Zapateado. 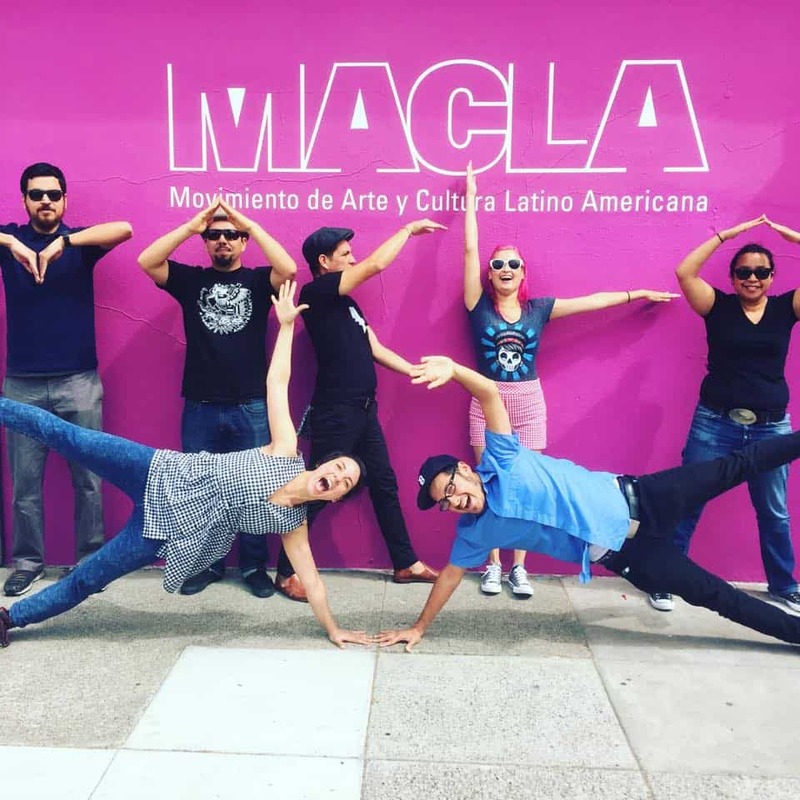 Las Cafeteras dance effortlessly across musical borders playing infectious shows with bands such as Mexican icons Café Tacuba, Lila Downs, Colombian superstar Juanes, Los Lobos, Edward Sharpe & the Magnetic Zeros and most recently with the Los Angeles Philharmonic Orchestra. Diana Gameros, originally from Ciudad Juarez, Mexico, Diana Gameros is a singer, songwriter, and music instructor. Now living In the Bay Area, Diana has played with many local favorites, including the Oakland East Bay Symphony and has opened concerts for Bebel Gilberto, Latin Grammy winners La Santa Cecilia, latin Grammy nominee Ximena Sariñana and many others. Most recently, Diana sang a song with mexican pop star and Grammy winner Natalia Lafourcade in a concert at SFJAZZ Center. In 2013 Diana released her first album entitled Eterno Retorno, a soulful retrospective of her journey as an immigrant. In October of the following year she received the Emerging Leader Award from the Chicana/Latina Foundation for her work in music and social justice activism. This year Diana’s song “Ligerita” was featured on NPR’s All Songs Considered. Diana is currently working on writing music for her second album.